Automatically irrigation kits Package include: 1 * 3/4" Water Inlet Adapter 1 * 1/2" Water Inlet Adapter 1 * Universal Faucet Connecter 1 * 25M 1/4" Hose 30 * 1/4" 3-Way Diverter 30 * Ground Staker 30 * 8-Nozzle Dropper 1 * Timer. Hose Length: 82ft (25m). 82ft DIY Micro Drip Kit with 30 Atomizing & Drip Nozzles. Great for watering flowers, plants, bonsai, potted fruits and so on. Water saving, reduces water usage by up to 70% over traditional sprinklers by focusing water directly to the root. 7 MODELS * 2650-4200 SQ.FT. 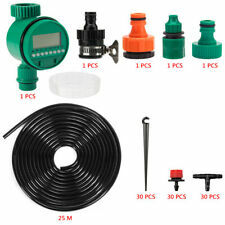 82ft Water Drip Irrigation Kits Micro Automatic Plant Watering System Timer Automatically irrigation kits Package include: 1 * 3/4" Water Inlet Adapter 1 * 1/2" Water Inlet Adapter 1 * Universal Faucet Connecter 1 * 25M 1/4" Hose 30 * 1/4" 3-Way Diverter 30 * Ground Staker 30 * 8-Nozzle Dropper 1 * Timer. TypePop-up spray head sprinkler. Sprinkler Inlet Size1/2-in. Professional grade 1/2-in inlet spray, ideal for residential landscape applications. Minimum Spray Radius (Feet)15. Maximum Spray Radius (Feet)15. This allows the sprinkler to get above the vegetables for optimum watering. These sprinklers can be easily moved from area to area. The sprinklers work well on grass and flower beds also and the flow thru spike allows 2 sprinklers to be interconnected using another hose. 100 x watering drippers (other accessories are not included). Able to Maintain constant when Long laying or pressure fluctuations, irrigation uniformity. Great for watering potted plants. Adjustable flow range: 1-70L/h. Good irrigation system,we can use it in automatic watering flowers, automatic plant watering, auto watering. A flexible vinyl hose, adjustable drippers, outside tap adaptor, connectors, and a support stem make up this micro drip irrigation system. For the irrigation of Garden, Lawn, farmland, woods. Impact sprinkler. 1 x Sprinkler. Watering range: 8-12m(radius). Adjustable tripod height. 1 x Tripod. Working pressure: 0.2--0.4Mpa. 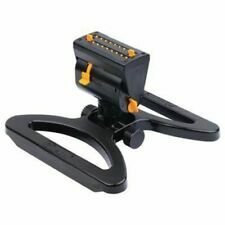 Adjustable angle: 30-360degree. Able to maintain constant when Long laying or pressure fluctuations, irrigation uniformity. Great for watering potted plants. 100x Drippers. Adjustable flow range: 1-70L/h. Making effective use of water. Trending at $128.99eBay determines this price through a machine learned model of the product's sale prices within the last 90 days. 50-ft Soaker And Sprinkler Watering Hose. The clever design of this handy hose lets you use it as a sprinkler or soaker! Or, place it facing downward, and the hose works as a soaker to slowly water deeply into the soil to soak the roots of your plants. 40 - 360° arc rotation and reversing full circle rotation in one. Superior Distribution Uniformity. Gentle close-in watering eliminates dry spots around the rotor, prevents seed washout and allows the turf to grow healthy with no matting or bending. The durable poly pulsating sprinkler sprays a gentle rain of water. Adjust the flow or angle to fit your watering needs. 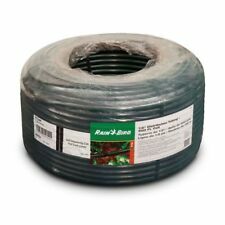 Fits standard garden hose threads. Our Inventory System is working 24/7. 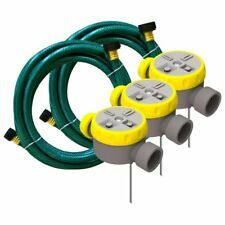 1 x Water Conserving Lawn & Garden Watering/Sprinkler. As your garden grows, simply rebend noodles to customize new watering patterns. Adapt to any shape or garden, save money and conserve water. Perfect for flowerbeds, sideyards, lawns, patios, courtyards, vegetable. 6 pcs of NEW Rain Bird 32SA Rotor Sprinkler Head Simple Adjustable Fast Shipping. Condition is New. Shipped with USPS First Class Package. This single spike sprinkler is easy to install and adjust, providing hassle-free watering from just one device. Choose from a full or part-circle spray based on your specific needs without ever having to re-position the spike. Able to maintain constant when Long laying or pressure fluctuations, irrigation uniformity. Great for watering potted plants. Adjustable flow range: 1-70L/h. Good seal and long serving life. Detail Image. Included: 50 X Irrigation Drippers. Perfect for the irrigation of your flower, plants, lawn. 8 holes at the top, adjustable water flow or closed it. Specifications: Flow: 0-120L/H. Color: Black. Detail Image. To better understand what a fixed spray full circle nozzle does and its application, look at the 2. Matched precipitation rates across sets and across patterns in 5 Series, 8 Series, 10 Series, 12 Series, and 15 Series for even water distribution and design flexibility. 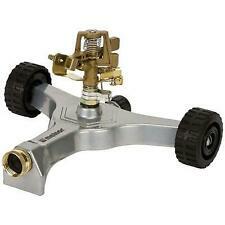 Half Circle SprayHead Sprinklers Model 54222. Universal - replaces or works with all pop-up sprinklers. Lot of 4 Orbit Series 400 Brass/Plastic 4" Pop-Up. Full distance spray provides uniform watering and fewer brown spots. This sprinkler features a 5" pop-up height that clears tall grass with ease and includes 3 nozzles. ProStream XL™ Lawn Sprinkler easily replaces or works with most Impact or Gear-driven Rotors, including Hunter®, Orbit®, Rain Bird® and K-Rain®. 5000 Series Part-Circle Pattern Pop-up Rotor. Gentle close-in watering eliminates dry spots around the rotor, prevents seed washout and allows the turf to grow healthy with no matting or bending. 40 - 360° arc rotation and reversing full circle rotation in one. The water sprinkler irrigation system is made of PVC and plastic. It is easy to use for a garden lawn sprinkler. - Effective water sprinkler irrigation system - patented design of water-saving device can be targeted to save water most by adjusting the water density, size and scope. With the lever pushed down, the sprinkler can be set to any part of a circle, by adjusting the collars. With the lever flipped up the sprinkler head will rotate 360 degrees. Full circle watering is ideal for large open areas. Adjustable Sprinkler Spray Head SP25-AP/VAR NEW. It has a corrosion-resistant seal to help prevent water waste during lawn irrigation, as well as a zero-flush seal to help prevent water loss when the system starts up. The radius reduction screw allows you to customize the spray to your lawn's specific needs. Great for agriculture, lawn, garden, patio, greenhouse, irrigation (watering flowers, grass, vegetables). Water misting sprinkler nozzle micro dripper with 4/7mm hose connector. 20pcs Misting Sprinkler Nozzle & Tee joints. Condition is New. Product Type: Pump Start Relay Height: 8.12 in. Width: 5.87 in. L Pump Start Relay. The spray is 10ft radius. This fits all Toro 570 series heads. vans are totally adjustable. I do not have many left. not many left. Rain Bird® R-VAN Rotary Nozzles provide water efficiency and design flexibility. Retrofitting standard spray nozzles with R-VAN Rotary Nozzles can reduce flow by up to 60% and improve water efficiency by up to 30%. Pretty much all the Rain Bird Rotors! Have a plot plan?. I can design. Have a technical issue?. I can resolve it. Located outside the United States?. No problem! We are here to exceed your expectations!